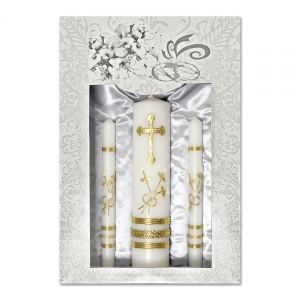 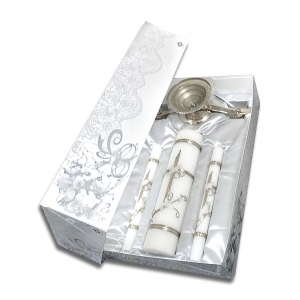 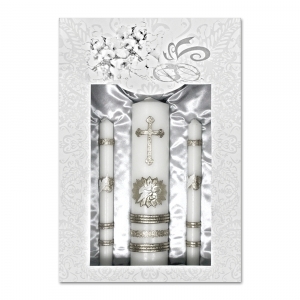 Silver unity candles with hearts and Holy Spirit design. 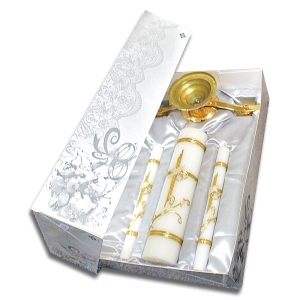 Gold base is included. 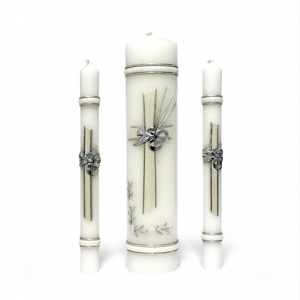 Center candle dimensions are 11 x 2.25 inches. 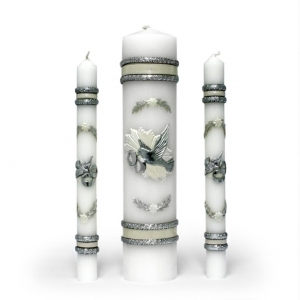 Dual candle dimensions are 10 x .75 inches.